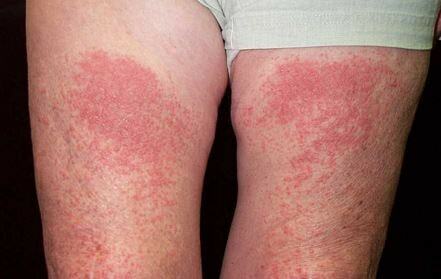 Photodermatitis is an acute or chronic inflammation; also known as sun poisoning, sun allergy or sun burn. 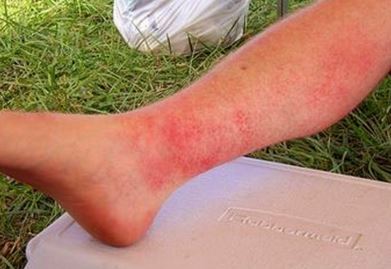 It is a unique form of contact allergic dermatitis in the sense that the allergen that causes it does not produce the clinical manifestations, until such time that the skin is being exposed to sunlight to be activated and form a skin rash, blisters or some form of scaly patches. The succeeding exposures to the sun may result to photoallergic skin reactions which can be eczematous in nature. Individuals may die in very rare cases with treatment failure. These are the phototoxic and photoallergic reactions wherein the photosensitizers are being ingested or topically applied on the skin. These includes the polymorphic light eruptions, chronic actini dermatitis, actinic prurigo and solar urticaria, with an unknown photosensitization reaction. 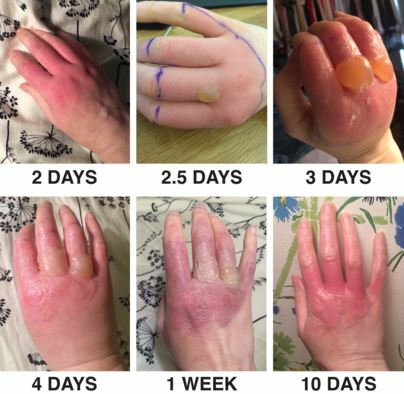 The examples here are pellagra, xeroderma pigmentosum and variegate porphyria; the photosensitizer is being formed and deposited in the skin. These are exacerbated by an exposure to UV rays of the sun; examples are acne, eczema, systemic lupus erythematosus, herpes simplex and roseaca. Long-term effects include chronic skin thickening and scarring and an increased risk of skin cancer, if the cause is hereditary in characteristics. Every person varies in terms of reactions to allergens with its vulnerability to sun light. It is believed that a lot of medications and conditions can trigger sun sensitivity. These conditions may include photosensitivity which is genetic or metabolic in nature or an exposure to some plants that the patient is sensitive with. Content of substances or chemicals taken or used predisposes the skin to be more sensitive to UV light. This is seen within few minutes to hours after an exposure to the triggering substance. Examples of substances which can create direct toxic effects are antibiotics, antifungals, nonsteroidal anti-inflammatory drugs, anti-malarial drugs, chemotherapeutic agents, diuretics, anti-anxiety medications, antidepressant and antipsychotic drugs. These are the after effects being noted after being exposed to sunlight and at the same time taking substances or chemicals that leads to the reaction; examples are fragrances, drugs, sunscreens and industrial cleaners. The immunologic reaction is not noted within 1 to 3 days of contact with the triggering factor. 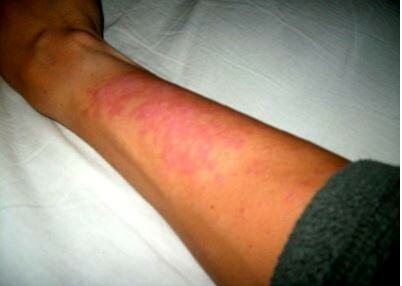 This is the occurrence of red itchy rash on the skin, either in the form of hives or vesicles. This occurs mostly during spring time or summer with increased episodes of sunlight exposure during some activities. These include systemic lupus erythematosus, solar urticarial, pellagra; these conditions may induce the occurrence of photodermatitis or be worsened by an exposure to UV rays of the sun. The best treatment for the disease is the observation of preventive measures from having the disease condition to occur. The person has to limit sun exposure, especially the midday sunlight as this can trigger the situation. If there are certain medications being prescribed, it is best to ask the attending physician if it’s safe to take them. It is advisable to wear masks and gloves if house cleansers can be an irritant to the skin. The use of hypoallergenic beauty products are a bit expensive but they are safer to use for those with very sensitive skin. The application of cool, wet dressings are found helpful to relieve blisters or any skin eruptions due to UV exposure. Phototherapy is recommended by some attending physicians to patients in order to desensitize the skin or to minimize the symptoms. Chen YA, Lee JY. Clinicopathologic study of solar dematitis, a pinpoint papular variant of polymorphous light eruption in Taiwan, and review of the literature. J Formos Med Assoc. 2013;112(3):125-30.